Eleven years later, the annual Metaltex Marketing Meeting returns to Belgium. This time, however, not in the European capital of Brussels but in Spa, a city famous for having given its name to the wellness centres spreaded all over the world. This because already since the 16th century the city was frequented because of its natural water sources who were believed to have healing properties. For two consecutive days the meeting of the Metaltex Sales and Marketing force was held at the Radisson Blu Palace Hotel, with the aim of presenting the new products for the upcoming 2019 season and focusing on the events of the market, the company and the Metaltex identity. A little early to reveal the new products that will be launched next year, but we can say that the theme of “water and cleaning in the kitchen” are the main theme that brings together the innovations of the different product categories for the next season, both for the family of “kitchen utensils and tools” than for “storage and organization” product category. 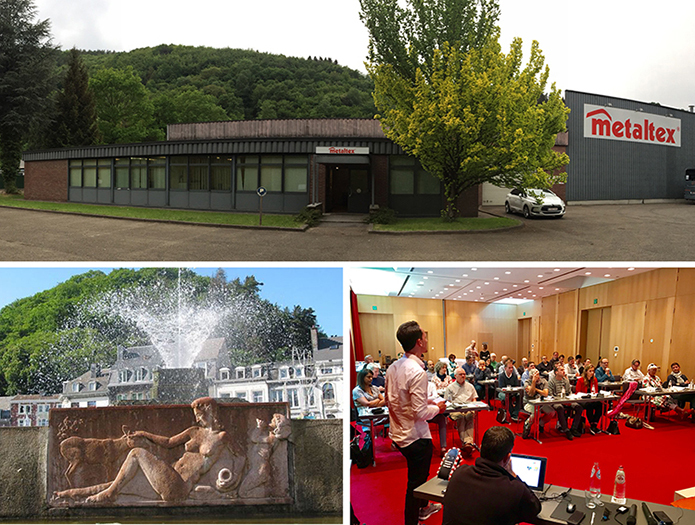 Metaltex colleagues from all over the world also took advantage of this meeting to visit and get to know more closely the Belgian branch located in Pepinster, a beautiful green area just twenty minute drive away from The City of Water. 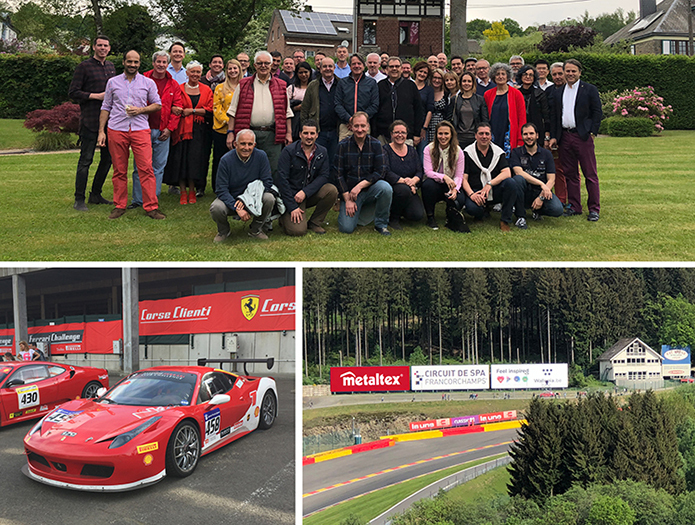 Last afternoon the Belgian branch organized a tour inside the Spa-Francorchamps circuit, where it was possible to enjoy live private race trials of the “Ferrari Racing Days”. Finally, the weekend culminated in a beautiful evening at the restaurant Le Val D’Ambleve, where everyone could taste the delights of Belgian cuisine. Metaltex would like to thank the Metaltex Belgium colleagues for organizing the event, as well as all the participants for contributing to a successful 2018 meeting.